This is an electronic copy of chapters 4 and 9 only. In addition to the major historical approaches presented in the last chapter, many have attempted to write more-or-less popular lives of Jesus. These authors often advocate unorthodox interpretations: Jesus never died on the cross; he was connected with the Qumran community; someone else changed his message to fit their own desires; he traveled to various parts of the word during the so called "silent years" or even after the crucifixion. While such works are given virtually no attention by careful scholars, these attempts are sometimes very popular with those who are unfamiliar with the data behind such questions. Many are bothered by nonfactual or illogical presentations, but are not quite able to locate the problems involved. This is the major reason that these approaches are included in this book. We will investigate several of the most popular recent attempts to present unorthodox pictures of Jesus' life. Each of the fictitious lives of Jesus surveyed in Chapter 1 taught that Jesus survived death on the cross and was later revived. His "appearances" to his disciples were not miraculous, of course, for he had never died in the first place. The swoon theory, espoused by Heinrich Paulus and others during the heyday of the Liberal naturalistic theories, was quite popular in the first half of the nineteenth century. It was disproven by the facts and indicted by Liberals like David Strauss. Before examining this view, it will be helpful to present an overview of two contemporary attempts to write similar lives of Jesus. It should be obvious to the reasonably impartial reader that this incredible sequence of events, where an unidentified man simply "appears" very conveniently whenever there is a need to explain anything away, is extremely questionable, to say the least. The entire plot closely parallels the fictitious lives of Jesus which are now so outdated and ignored by serious scholars. Indeed, even Schonfield admits that much of his account "is an imaginative reconstruction. "(8) Later he explains that "We are nowhere claiming for our reconstruction that it represents what actually happened. "(9) According to John A. T. Robinson, The Passover Plot is an example of a popularistic book which is factually groundless enough that, if the public were not so interested in virtually anyone who writes on Christianity, it "would be laughed out of court. "(10) Therefore, we assert that there is a very high improbability against Schonfield's reconstruction of Jesus' life. One other example of the swoon theory in popular literature is Donovan Joyce's The Jesus Scroll. (11) The thesis of this book, which contains an even more incredible string of improbabilities than Schonfield's, will be left for a later section of this chapter. However, Joyce's account of the swoon theory is discussed here. This account of Jesus' swoon likewise smacks of fictitious aspects, similar to both Schonfield and the eighteenth and nineteenth century attempts. The swoon theory was perhaps the most popular naturalistic theory against the historicity of Jesus resurrection in the early nineteenth century. But David Strauss, himself a liberal theologian, disproved this theory to the satisfaction of his fellow scholars. Strauss raised a very important issue. Even if it was imagined that Jesus was able to survive Roman crucifixion, what could he do about the heavy stone in the entrance to the tomb? In his extremely weakened physical condition, could he move an object which even a healthy man would have a great problem with (according to tradition)? This would be even more difficult when it is remembered that the stone would have to be rolled uphill out of its gully. Additionally, the inside of the stone would provide no edge against which Jesus might at least use his weight to push. Then, even if he could have escaped from the tomb, could he walk the distance to the disciples hiding place after having his weight suspended on a Roman crucifixion spike just a short time previously? Modern medical research has leveled at least two additional critiques against the swoon theory. First, crucifixion is essentially death by asphyxiation, as the intercostal and pectoral muscles around the lungs halt normal breathing which the body hangs in the "down" position. Therefore, faking death on the cross still would not permit one to breathe; one cannot fake the inability to breathe for any length of time. Breaking the victim's ankles insured death even quicker, since the person could not push up in order to free the lungs for breathing. The Romans were knowledgeable in these matters, as indicated by the broken leg bones of a first century crucifixion victim whose skeleton was recently discovered (see Chapter VIII) for details. Since Jesus' ankles were not broken, we have the Roman's assurance that he was previously dead. Otherwise, this method would have killed him. Either way, the end result of Jesus' death is very probable. Second, an even stronger refutation of the swoon theory is gained from the medical conclusion that the Roman lance entered Jesus' heart. The gospel writer probably never understood the medical significance of what he recorded, for which eyewitness testimony is claimed (John 19:34 35). Medical doctors who have studied this issue usually agree that this is a very accurate medical description. The water probably proceeded from the pericardium, the sac that surrounds the heart, while the blood came from the right side of the heart. Even if Jesus was alive before he was stabbed, the lance would almost certainly have killed him. (17) Therefore, this chest would also disproves the swoon theory. Another popularistic picture of Jesus is that he was a member of the Essene Community at Qumran, which is said to have influenced his teachings tremendously. Sometimes, but seldom, he is even connected with the Essene "Teacher of Righteousness," a priest who called the people to obey the Law and to live a holy life before the Lord and was perhaps even martyred for his teachings. These works of Ewing and Potter are examples of popularistic attempts to explain the inner motivations and secret events of Jesus' life that are not recorded in the New Testament. Like the fictitious lives of Jesus described by Schweitzer, not only do we find an interest in these inner workings, we also confront the secretive organization of the Essenes once again. And like Schweitzer's examples, so are these works refuted by the facts, Four critiques of these views are now presented. Both of these statements are textbook examples of arguments from silence. Just because there is an absence of evidence in the Gospels as to what group Jesus favored, we cannot argue from that silence to the fact that he favored the Essenes. For instance, the Talmud fails to mention the Essenes, so does this make it an Essene book? These statements also commit the black white fallacy of logic. They assume that either Jesus had to be a Sadducee or Pharisee on the one hand or an Essene on the other. But this conclusion only follows if it is known that these are the only options. Jesus could have been a member of another group or of no group at all. Indeed, the Gospels depict him as one who was "his own man" without explicit support for any sectarian politics. The second major reason for rejecting this thesis is that, while there are similarities between Jesus and Qumran,(30) there are also many differences that oppose any close connection. As asserted by Brownlee, "The Qumran literature tells us much about the background of primitive Christianity, but it can tell us nothing directly about Jesus. "(31) A number of scholars have noted numerous differences between Jesus and Qumran beliefs. (32) 1) Jesus opposed legalism, whereas the Essenes held strictly to it. 2) Jesus also opposed ceremonial purity, while the Essenes, again, adhered meticulously to it. 3) Jesus associated with common people and "sinners," whereas such activity was appalling to the Essenes. 4) The sinlessness of Jesus is in contrast to the Essene teaching that even the Messiah would be purified from sin by suffering. 5) Jesus combined several messianic aspects, while the Qumran community was looking for two (or even three) different messiahs. 6) Jesus did not teach a strong hierarchy among his followers, while the Essenes imposed strict social rules. 7) Jesus' group was open, but the Essene community was closed. 8) Jesus' ministry was public, while the Essenes were very private. 9) Jesus' teachings were oral, whereas the Essenes emphasized writing and copying. 10) Jesus' manner of teaching was clear, not obtuse as in the Dead Sea Scrolls. 11) Jesus had no formal training, in contrast to those from the Qumran community. 12) Healing was a major part of Jesus' ministry, but this aspect was not emphasized at Qumran. 13) The teaching of love was Jesus' major ethical message, but does not appear in Essene teachings. 14) Jesus' ethics are closer to Rabbinic literature than to Qumran. 15) Jesus had a more positive admiration for the Old Testament prophets than did the Essenes. 16) Jesus did not emphasize angelology as much as did the Qumran community. 17) Jesus' central teaching was the Kingdom of God, whereas the Essenes give little or no place to the concept. 18) For Jesus, salvation was straightforward, while the Essenes had an elaborate initiation system. 19) Jesus taught that salvation would also be extended to the Gentiles while the Essenes were more exclusivistic. 20) Jesus was missionary-minded, while the Essenes were not. 21) According to Josephus, the Essenes taught the immortality of the soul, in contrast to the Christian teaching of the resurrection of the body. Our third critique opposes the minority opinion that Jesus was the Essenes' "Teacher of Righteousness." Although very few hold this view, we will still list several problems noted by scholars. (35) 1) The Essenes' Teacher was a priest, as opposed to Jesus' plural office. 2) The Teacher considered himself a sinner in need of purification, while Jesus was sinless. 3) The Teacher perceived that he was separated by an infinite gulf from God, while Christians hold that Jesus is the very Son of God. 4) There is no evidence of any atoning value being placed on the Teacher's death, while such is the special significance of Jesus' shed blood and death. 5) There is no claim or evidence that the Teacher was raised from the dead, while this is the central event for Christianity. 6) Jesus is worshiped by Christians as God, while such was not the practice of the Essenes and even opposed their belief. 7) Additionally, the Essenes' Teacher lived long before Jesus did. Yet, we must still reject this approach to the life of Jesus. The illogical argumentation, the differences between Christianity and Qumran and the differences between Jesus and the Teacher of Righteousness all invalidate it. However, even if this hypothesis was demonstrated, it would affect nothing of major importance in Christianity since Jesus did have some type of background and his message can be shown to be trustworthy and unique anyway. The charge is often made that Jesus' message was actually quite different from the one which Christians have traditionally taught concerning him. This sometimes is said to be the case, for instance, because the Gospels represent the teachings of the early church and not those of Jesus himself (compare the discussion about Bultmann above). We saw how this approach is invalidated as an attempt to ascertain Jesus' teachings. On the other hand, Davies' thesis, as just observed, claimed that Paul changed the direction of Christianity, and allowed the later syncretism of the third century, which was also shown to be in error. Hugh Schonfield postulated another reason for this change in Jesus' message. He holds that Jesus was a teacher who was true to Judaism and who had no desire to start any new religion. That is why, for instance, he never proclaimed his own deity. (38) While Paul did present some different teachings,(39) he is not the real culprit. Rather, Schonfield asserts that the church at Rome perverted Paul's teachings about Jesus in order to turn him into a deity who set up a new religion. (40) The Roman church did this by consciously writing some of the New Testament books and by influencing others to rewrite the story of Jesus. Books said to be either written or influenced strongly by this effort include the synoptic Gospels, Hebrews and Peter's epistles. (41) The general movement is from Jesus' original teachings, to Paul's assessments, to the Roman redirection. (42) The result is that Christian theology as it is taught today is not the teachings of Jesus and the apostles. (43) By such progress, the teachings of Jesus and Paul have been changed by a plot to make Christianity palatable to Roman gentiles. In spite of Schonfield's new "twists," his thesis is vulnerable to four criticisms. First, since Schonfield rejects the testimony of the Gospels,(44) he presents no valid basis on which to assert that Jesus' original teachings were different from what traditional Christianity believes about him. The problem here is actually twofold. Initially, Schonfield is opposed by all of the evidence for the authenticity and trustworthiness of the Gospels (and the New Testament). Additionally, and more specifically, how can one rule out the Gospel's testimony and still have a basis on which to assert that the original teachings of Jesus were different? How can Schonfield know that Jesus did not present the message of the Gospels? What is his basis of comparison between Jesus and what the earliest sources say about him? It becomes apparent that there are no grounds of distinction between Jesus and the Gospels. Schonfield might respond that Jesus could not have taught the message that traditional Christianity affirms, since it was contrary to what first century Jews believed. Yet Schonfield uses the Gospels to establish this response,(45) a basis which he rejects. And since it is not proper hermeneutical method to pick and choose the verses which one will accept and those which one will reject, he is again left without any valid basis for his position. At any rate, we cannot follow Schonfield and attempt to divorce Jesus' message from what the earliest sources indicate concerning him, for in so doing we destroy the basis which is needed to establish that division. Additionally, to assume that Jesus did not consider himself deity while ruling out the Gospels, is to do so on the grounds of the presumed first century Jewish thought, which is a circular argument that presupposes Jesus did not teach anything different. This is the very point to be demonstrated. Second, there is no evidence for any such plot on the part of Christians at Rome, as presumed by Schonfield. Of course, one can argue anything without the appropriate support, but others are not obliged to accept it. Similarly, no one is constrained to accept Schonfield's thesis without the proper evidence. Since we do not know that Jesus denied deity and especially since there are reasons to assert that he did claim such deity then why would there be a need for Roman Christians to "invent" the message? In other words, we can only begin to contemplate the alteration of Jesus' words if we know that he did not teach the message of his deity in the first place. But since the point is invalid, as just shown, one cannot leap to the next step of a conspiracy by the Christians at Rome. Even stronger is Paul's statement in Rom. 9:5, where Jesus is, in all probability, actually called "God. "(51) Similarly, Paul affirms Christ's full deity in Col. 2:9. While Schonfield clearly mistranslates this latter verse,(52) Cullmann, agreeing with virtually all scholars, renders the key phrase as "the whole fullness of deity dwelt bodily" in Jesus Christ. (53) As philologists A. T. Robinson points out, this verse indicates that all the fullness of the very essence of God dwells in Jesus in bodily form. (54) These two references, in particular, reveal Pauls view of the full deity of Jesus. Other passages are additionally helpful. Philippians 2:6 11 asserts that Jesus has the form or very nature of God and commends worship of the exalted Jesus. In Col. 1:15, Paul points out that Jesus is the "image of God" and in 2 Cor. 12:8, Paul prays to Christ. (55) By these means, then, Paul does teach the deity of Jesus. This is not a doctrine added by unscrupulous Christians from Rome, but a teaching of Jesus himself and of Paul. Fourth, even if a divine messiah was not what first century Jews were looking for, there is a good reason why Jesus may still have made this very claim, as the evidence indicates he did. If he was truly deity, then he may have been attempting to correct the first century Jewish understanding of the messiah. And if he was, in fact, raised from the dead, this at least raises the possibility that his claims were verified. Again, any verification of Jesus' teachings is beyond the scope of this book, but if the resurrection is demonstrated as history, then claims in this area can no longer be disregarded. (56) Schonfield might then have to face his thesis in reverse. At any rate, Schonfield's thesis (as well as others who claim that Jesus' teachings were changed) is invalid. This is especially so when the Gospels have been rejected, for there is then no basis for this conclusion. It is thereby circular to assume that Jesus' views did not differ from first century Jews, for this is the very point to be demonstrated. But then the presumed plot of the Christians at Rome also fails because there is no evidence that Jesus did not teach his own deity. In fact, there is much evidence in the Gospels that he did teach this. If one rejects the Gospels there is little basis for rejecting the traditional Christian testimony concerning Jesus, and we arrive at a circular argument. If the texts are accepted, then we are faced with Jesus' claims to be deity. Additionally, Paul's firm teaching on the deity of Jesus invalidates this thesis, as does a possible verification of Jesus' claims if his resurrection is demonstrated as historical. It should be carefully noted, however, that Schonfield and Davies represent only two versions of the thesis that Jesus' message was changed. This claim is a very common one. In general, the frequent charge is that Paul either originated or corrupted Christianity, usually on the subjects of the deity of Jesus and the nature and extent of the gospel message. It is to this more general charge that we wish to offer seven brief critiques. (1) It has been mentioned above that Jesus made various statements regarding his own deity. He claimed to be the Son of Man, the Son of God, to forgive sin and that he was the actual means of salvation. There are also additional indications of his own teachings concerning his deity, such as his use of the word "Abba." It is quite significant that Jesus first century contemporaries were convinced of his claim to deity (Mark 2:6 7; John 5:17 18). 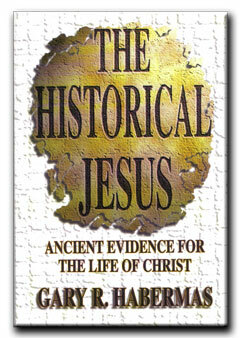 (57) Therefore, the thesis which asserts that the deity of Jesus is a later doctrine fails largely at this point. (2) Numerous ancient, pre Pauline creeds also teach the full deity of Jesus. Philippians 2:6 11 not only attributes Old Testament praise of God (as the one true God) to Jesus (cf. Isa. 45:22 23), but it also calls Jesus "Christ" and "Lord." On this latter title, Cullmann asserts that it is even loftier than the passages which address Jesus as God, since Lord is the name for God. This allowed Christians to attribute what the Old Testament says about God to Jesus, as evidenced in this passage. (58) Additionally, and even stronger, Jesus is said in verse six to have the same nature or essence as God. Reginald Fuller states that here Jesus is "equal with God. "(59) Cullmann speaks of Jesus' "identity of form with God," which shows that he is "equal with God" in his exaltation. (60) Other pre Pauline creeds also teach the deity of Jesus. Romans 1:3 4 calls Jesus "Son," "Christ" and "Lord." First Corinthians 11:23ff., which Joachim Jeremias states "goes back . . . to Jesus himself,"(61) also calls Jesus "Lord." First Corinthians 15:3ff., perhaps the oldest New Testament creed, calls Jesus "Christ." It is also significant that these creeds pre date Paul and extend back to the earliest church, which completely complement Jesus' own self claims. (3) Paul did not teach a new religion. He taught that Christianity was a fulfillment of Judaism (Rom. 10:4, 9 11; Col. 2:16 17), which is what Jesus taught, as well (Matt. 5:18; Luke 16:16 17). (4) Paul also agreed with Jesus as to the nature of the gospel. Both taught that men are sinners (Mark 3:38; Rom. 3:23; 6:23) and that Jesus died, with his shed blood providing atonement for that sin (Matt. 26:28; Mark 10:45; Eph. 1:7; Rom. 5:8). The death and burial of Jesus was completed by his resurrection (Luke 24:46 47; John 20:25 29; Rom. 10:9). Yet man cannot save himself, but needs Gods grace and leading (Matt. 19:25 26; John 4:44; Eph. 2:8 9), which is imparted through faith and surrender to Christ (Mark 1:15; Rom. 10:9 11). The result is a changed life and commitment (Luke 14:25 35; John 15:1 11; 2 Cor. 5:17; Eph. 2:10). (5) Paul was the apostle to the Gentiles (Rom. 11:13 14). Jesus also taught the disciples to take the gospel to the Gentiles (Matt. 28:19 20; Luke 24:47; John 10:16; Acts 1:8) and that non Jews would be found in the Kingdom of God (Matt. 8:11 12; John 17:20). These teachings are actually the fulfillment of Old Testament promises (Gen. 12:3; Isa. 19:18 25), not a new doctrine. (6) Paul's message of the gospel was both checked and approved by the original apostles (Gal. 2:1 10), providing official recognition that his message was not opposed to that of Jesus. It was also shown earlier (see Section E) that Paul's epistles were accepted as Scripture immediately after being written (2 Pet. 3:15 16; Clement of Rome; Ignatius and Polycarp). (7) We have also introduced the significance of Jesus' resurrection with regard to the truthfulness of his teachings. Since Paul agrees with Jesus, any such confirmation would also apply to Paul's teachings. Another persistent legend states that Jesus traveled east to India and Japan. According to family documents which were purportedly uncovered in 1935 by Shinto priest Kiyomaro Takeuchi, Jesus reportedly sailed to Japan at the age of eighteen. He stayed in that country for about seven or eight years and studied Japanese philosophy and culture in his search for wisdom. Armed with both this knowledge and with some magic tricks which he had learned, Jesus went back to Palestine. Upon his return, Jesus preached the Kingdom of God. When it became clear that he was going to be killed, the Japanese legend relates that his brother, Isukiri, volunteered to die in Jesus' place so that Jesus could continue with his work on earth. Having convinced Jesus by such rationale, his brother Isukiri died and was buried. Afterwards, Jesus and Judas went to the tomb and reburied Isukiri's dead body. Another hypothesis involving Jesus as a traveler is related by Donavan Joyce, who asserts that in 1964 he was told of a scroll which was stolen by a professor who would not give him his true name. This professor claimed that the scroll was found at Masada, on the Dead Sea, and was written by a man identifying himself as "Jesus of Gennesareth, son of Jacob," an eighty year old defender of Masada who apparently died while fighting the Romans during the Jewish revolt of 66 73 A.D. Unfortunately Joyce never found out the professor's real name and, in the meantime, the scroll has disappeared so that no one knows the whereabouts of it or of the professor! (64) Yet Joyce claims that there is a chance that this scroll was written by Jesus before his death at the age of eighty years. Therefore, there must be a history of what happened to Jesus during the almost fifty years from the time of his crucifixion until his death. These attempts to have Jesus avoid death and then travel afterward are laden with more difficulties than any other approach which we have studied. This is largely due to the presence of so much conjecture combined with an absence of facts. We present four major objections to such approaches to the life of Jesus. First, in our earlier discussions we determined that the New Testament, and the Gospels in particular, are authentic and trustworthy documents for the life and teachings of Jesus. We will not belabor this point any further, except to note that this conclusion is based on both the early and eyewitness testimony behind the Gospels, including authors who were close to the facts, as well as the attestation of the earliest church and overwhelming manuscript evidence. Such facts reveal that the Gospels are a valid basis fort he teachings of Jesus, in opposition to these theses which almost always involve vast alterations of New Testament data. On this point alone these theses fail. Second, most of these theses involve the swoon theory concerning Jesus' resurrection, without which there would be no basis for any post crucifixion travels followed by a later, obscure death. But as stated above in our examination of this hypothesis, this hypothesis falls prey to numerous problems which will not be repeated here. Some sources, such as the Japanese legend cited here, assert that someone else died on the cross in place of Jesus. Other such assertions include the gnostic writing "The Second Treatise of the Great Seth" (55:15 20)(70) and the Muslim Koran (Surah IV, 156 159). (71) Whereas the Japanese tale claims that the crucified person was Jesus' brother, the gnostic source claims that Simon of Cyrene was killed while the glorified Jesus sat in the heavens and laughed at the error. A popular Muslim teaching is that it was Judas who died instead of Jesus. Such strange "twists" to the swoon theory have been virtually ignored by scholars with good reason, for serious problems invalidate each of these theses. (1) The sources which report these theories are quite late. While the date of the gnostic writing is difficult to obtain, it was probably written two or more centuries after Jesus and definitely manifests theological rather than historical interests, since one gnostic belief is that Jesus could not have died physically on the cross, hence a substitute would be needed. The Japanese legend was not known until about 500 A.D. when it was introduced in Japan by the Chinese. The Koran is a seventh century A.D. writing. Works of the third to seventh century are rather late to have much authoritative claim, while the gnostic and Muslim sources plainly exhibit theological interests for their assertions. (2) Why would Jesus' disciples, friends and relatives not recognize a substitute, especially when several were present at the crucifixion and burial? This is almost beyond credulity. (3) How could Jesus' enemies have missed the oversight? Since they knew what his appearance was from his trips to Jerusalem and certainly had strong motives to kill him, including the desire to be present at the crucifixion to witness his death, such a mistake would be simply incredible. (4) Such theories would not be able to adequately explain the reported appearances of Jesus to eyewitnesses after his crucifixion, since such testimony concerned both his glorified body and his healed wounds. It is no wonder that such a variant hypothesis has had very little following even among critics. The late dates of the sources and the lack of recognition by both Jesus' loved ones and his enemies alike, even at extremely close range, together with his glorified but scarred post crucifixion appearances, combine to make this assertion quite unpalatable to scholars. The third major objection to the thesis that Jesus was an international traveler after his crucifixion is that these theories lack historical credibility. Each of the theses is plagued with a lack of solid historical evidence. For instance, the Japanese legend not only rests on very questionable hearsay testimony but it was not even introduced into Japan until 500 A.D.(72) Certainly a gap of some 450 years should make us question the historical origin of this legend. Concerning Joyce's thesis that Jesus died at the age of eighty while fighting the Romans at Masada, the historical basis is perhaps even more questionable. Joyce never knew the professor's true name, and even admits that he must rely on "hearsay" testimony. If that is not enough, the scroll has since vanished and no one knows the claimed whereabouts of either this document or the "professor" upon whose word the testimony rests! Interestingly, Joyce even wrote to Yigael Yadin, the well known archaeologist who headed the Masada expedition. Yadins response to Joyce's story was that "anyone with a little knowledge of scrolls and conditions in which they were discovered at Masada would have immediately detected the nonsense in the story. "(73) There can be little question that the story of the lost scroll cannot be used in any attempt to formulate the historical facts of the last years of Jesus' life. After their research into Christian origins, does their evaluation change? While holding that their thesis was still probably true, the authors conclude, "We could not  and still cannot  prove the accuracy of our conclusion. It remains to some extent at least, a hypothesis. "(75) As we will see below, their thesis also has numerous gaps in argumentation. Historically, then, such theses lack the data needed for the conclusions. Very late documents, missing evidence and faulty historical reconstructions certainly do not prove one's case. The fourth major problem with these theses is that, in addition to the lack of a historical basis, each exhibits decidedly illogical argumentation. The Japanese legend contains such inconsistencies as Jesus' brother dying in his place, the fact that Jesus' teachings reflect none of the Japanese philosophy that he supposedly learned during his "silent years" spent in Japan, and the failure to acknowledge the Christian teachings of Francis Xavier. This Catholic priest visited Japan in the sixteenth century and probably accounts for much of the Christian influence in that country. (76) Even so, it is in the works of Joyce, Baigent, Leigh and Lincoln where we perceive more glaring gaps in logic. Such illogic is also carried over into Joyce's treatment of the life of Jesus. This happens often, but we will recount just one example here. In Luke 8:1 3, we are told that several women supported Jesus and his disciples financially. Joyce declares this to be "quite certain" evidence that Jesus was married. (79) Such a train of illogic hardly needs a comment, but it is certainly an example of how such hypotheses must really be strained to put together such a "case" for the life of Jesus. It is also typical of the assertions made in Holy Blood, Holy Grail, from which many examples could also be adduced. It is obvious that, oftentimes in such theses, conclusions are arrived at only by taking out the Gospels and even adding to them what one would like to find. In this case, the authors even admit this procedure. After stating that they sifted through the Gospels searching for the specific points which they needed, they confessed that "we would be obliged to read between lines, fill in certain gaps, account for certain caesuras and ellipses. We would have to deal with omissions, with innuendos, with references that were, at best, oblique. "(82) One instance of this arbitrary methodology occurs when they admit that they are utilizing such a procedure in order to find evidence for Jesus being married, which is obvious from the above examples on this subject. Another instance follows an attempt to make John the most historical of the four Gospels. The authors assert that modern scholarship has established this point, when such is simply not the case. But the authors' motives are exposed when they specifically acknowledge that they used John the most in an attempt to support their hypothesis! (83) Thus, we again see examples of illogic being used to support a case for one's own desired results. One is reminded here of Louis Cassels' evaluation of such attempts to "explain away" the facts. The trustworthiness of the Gospels, the failure of the swoon theory in all of its forms, the lack of a valid historical basis, and the decidedly illogical lines of argumentation demonstrate the failures of these theories. This is not even to mention their hopeless contradiction of one another as well. It is because of this attention among the general populace that we have considered these popularistic "lives of Jesus" in this chapter. Accordingly, we investigated hypotheses involving swoon, Qumran connections, perversions of Jesus' message, and theses involving Jesus as an international traveler. Each was refuted on its own grounds by a number of criticisms. You can count on it. Every few years, some "scholar" will stir up a short lived sensation by publishing a book that says something outlandish about Jesus. The "scholar" usually has no standing as a Bible student, theologian, archaeologist, or anything else related to serious religious study. Although such satirical comments remind one of Schweitzer's similar remarks concerning the "imperfectly equipped free lances" who composed the "fictitious lives of Jesus" from 130 to 200 years ago,(87) these statements cannot fairly be applied to all of the writings in this chapter. Yet they do remind us of characteristics that are true of many. Accordingly, while all of the theses surveyed in this chapter are refuted by the facts, some of them are additionally to be viewed from the standpoint of fictitious attempts to avoid the Jesus of the Gospels. 1. Schonfield (New York: Bantam Books, 1965). 2. Ibid., pp. 37 38. 3. Ibid., pp. 112 115. 4. Ibid., pp. 153 161. 5. Ibid., pp. 160 161. 7. Ibid., pp. 166 172. 9. Ibid., p. 165; cf. pp. 171 173. 10. J. A. T. Robinson, Can We Trust the New Testament?, p. 15. 11. Joyce (New York: New American Library, 1972). 12. Ibid., pp. 106 110, 118. 13. David Strauss, A New Life of Jesus, 2 vols. (Edinburgh: Williams and Norgate, 1879), vol. 1, pp. 408 412. 14. Schweitzer, pp. 56 67. 15. Ibid., cf. pp. 161 166 with 166 179, for example. 16. Eduard Riggenbach, The resurrection of Jesus (New York: Eaton and Mains, 1907), pp. 48 49; James Orr, p. 92. 17. For examples of physicians who deal with this issue, see C. Truman Davis, The Crucifixion of Jesus: The Passion of Christ from a Medical Point of View, in Arizona Medicine, March, 1965, pp. 183 187; Robert Wassenar, A Physician Looks at the Suffering of Christ in Moody Monthly, 79/7, March 1979, pp. 41 42; James H. Jewell, Jr., and Patricia A. Didden, A Surgeon Looks at the Cross, in Voice, 58/2, March April, 1979, pp. 3 5. 18. For examples, Barth, Church Dogmatics, vol. IV, p. 340 and Brown, p. 223. 19. Ewing (New York: Philosophical Library, 1961). 20. Ibid., pp. 48 51, 62 63. 21. Ibid., pp. 52, 62 64. 22. Ibid., see pp. 62 64, 368 369, 393, 397, for examples. 23. Charles Potter, The Lost Years of Jesus Revealed (Greenwich: Fawcett Publications, Inc., n.d.). 24. Charles Potter, Did Jesus Write This Book? (Greenwich: Fawcett Publications, Inc., n.d.), pp. 16, 77, 133 141. 27. Potter, Did Jesus Write This Book? p. 14. 28. Ibid., pp. 134 135. 30. Jean Daniélou, What the Dead Sea Scrolls Tell Us About Jesus, in Daniel Rops, Sources for Christ, pp. 23 28; John M. Allegro, The Dead Sea Scrolls (Baltimore: Penguin Books, 1956), pp. 148 151; William Brownlee, Jesus and Qumran, in Jesus and the Historian, ed. by F. Thomas Trotter (Philadelphia: The Westminster Press, 1968), p. 75. 32. Daniélou, pp. 28 29; Allegro, pp. 161 162; Brownlee, pp. 62 76; Charles Pfeiffer, The Dead Sea Scrolls and the Bible (Grand Rapids: Baker Book House, 1969), pp. 97 99, 130 134; F.F. Bruce, Second Thoughts on the Dead Sea Scrolls (Grand Rapids: William B. Eerdmans Publishing Company, 1956), pp. 79 84. 35. Daniélou, pp. 30 32; Brownlee, pp. 69 70; Allegro, pp. 161 162; Bruce, Second Thoughts, p. 98. 37. Although this argument cannot be pursued here, see Habermas, The Resurrection of Jesus: An Apologetic. 38. High Schonfield, Those Incredible Christians (New York: Bantam Books, 1969), pp. IX, 50 51. 40. Ibid., pp. 135 155. 41. Ibid., pp. 136 149. 42. Ibid., pp. 149, 211, 230. 43. Ibid., pp. XVII, 170. 44. Ibid., pp. 142 146, 259 272. 45. Ibid., pp. 50 51. 46. See Habermas, The Resurrection of Jesus: An Apologetic, Chapter 3 for several additional indications of Jesus claims to deity. 47. Reginald Fuller, The Foundations of New Testament Christology (New York: Charles Scribners Sons, 1965), p. 115, for instance. 48. Schonfield, Those Incredible Christians, pp. 98, 257. 50. Oscar Cullmann, The Christology of the New Testament, transl. by Shirley Guthrie and Charles Hall (Philadelphia: The Westminster Press, 1963), pp. 311 312. 51. Ibid., pp. 312 313; Raymond E. Brown, Jesus: God and Man (Milwaukee: The Bruce Publishing Company, 1967), pp. 20 22. 52. Schonfield, Those Incredible Christians, p. 252. 54. A. T. Robinson, Word Pictures in the New Testament, 6 vols. (Nashville: Broadman Press, 1931), vol. 4, p. 491. 55. Cullmann, pp. 235, 311 312. 56. See Habermas, The Resurrection of Jesus: An Apologetic, especially chapters 1 3 for the details of such an argument. 57. The subject of Jesus self designations is an intricate issue and cannot be dealt with in detail here. For some justification of these claims, see Oscar Cullmann, The Christology of the New Testament. On the last point, see Reginald Fuller, p. 115. 58. Cullmann, pp. 235, 237, 307. 59. Fuller, pp. 208, 248. 60. Cullmann, p. 321; see also p. 235. 61. Joachim Jeremias, The Eucharistic Words of Jesus, transl. by Norman Perrin (London: SCM Press, Ltd., 1966), p. 101. 62. C. H. Dodd, The Apostolic Preaching and its Developments (Grand Rapids: Baker Book House, 1980), p. 16. 63. John Peterson, A Legend Says Jesus Died in Japan at 112, The Detroit News, August 9, 1971, pp. 1A, 6A. There are other parallels of a similar nature in Ethiopia and Egypt. 64. Joyce, The Jesus Scroll, pp. 7 14. 65. Ibid., pp. 100 110, 131 140, 160. 66. Ibid., pp. 54 59, 76 99, 141 158. 67. Michael Baigent, Richard Leigh and Henry Lincoln, Holy Blood, Holy Grail (New York: Delacorte Press, 1982), pp. 301 320, 324. 68. Ibid., pp. 322 332, 347. 69. Ibid., see Chapters 1 11, 13 for details. See p. 286 for the authors statement concerning the need to have evidence of such a bloodline. 70. See James Robinson, The Nag Hammadi Library, pp. 329 338. 71. The Meaning of the Glorious Koran, transl. by Mohammed Marmaduke Pickthall (New York: New American Library, n.d.), p. 93. 73. Joyce, p. 187; see also pp. 7 14. 74. Baigent, Leigh and Lincoln, p. 286. 77. Joyce, pp. 158 159, 184. 78. Ibid., pp. 159 160, 191. 79. Ibid., pp. 78 79. 80. Baigent, Leigh and Lincoln, pp. 303 304. 81. Ibid., pp. 307 308. 84. Louis Cassels, Debunkers of Jesus Still Trying, The Detroit News, June 23, 1973, p. 7A. 85. Templeton, Act of God; Irving Wallace, The Word (New York: Pocket Books, 1973); Og Mandino, The Christ Commission (New York: Bantam Books, Inc., 1981). 87. Schweitzer, The Quest of the Historical Jesus, p. 38. Continuing our historical investigation into the early sources for the life, death and resurrection of Jesus, we turn next to the ancient non Christian sources. We will move, successively, from ancient historians, to government officials, to other Jewish and Gentile sources, to early gnostic sources and then to lost works that speak of Jesus. Tacitus is best known for two works  the Annals and the Histories. The former is thought to have included eighteen books and the latter to have included twelve, for a total of thirty. (2) The Annals cover the period from Augustus death in 14 A.D. to that of Nero in 68 A.D., while the Histories begin after Neros death and proceed to that of Domitian in 96 A.D.
From this report we can learn several facts, both explicit and implicit, concerning Christ and the Christians who lived in Rome in the 60s A.D. Chronologically, we may ascertain the following information. (1) Christians were named for their founder, Christus (from the Latin), (2) who was put to death by the Roman procurator Pontius Pilatus (also Latin), (3) during the reign of emperor Tiberius (14 37 A.D.). (4) His death ended the superstition for a short time, (5) but it broke out again, (6) especially in Judaea, where the teaching had its origin. Several facts here are of interest. As F. F. Bruce has noted, Tacitus had to receive his information from some source and this may have been an official record. It may even have been contained in one of Pilates reports to the emperor, to which Tacitus would probably have had access because of his standing with the government. (5) Of course, we cannot be sure at this point, but a couple of early writers do claim to know the contents of such a report, as we will perceive later. Also of interest is the historical context for Jesus death, as he is linked with both Pilate and Tiberius. Additionally, J. N. D. Anderson sees implications in Tacitus quote concerning Jesus resurrection. Although we must be careful not to press this implication too far, the possibility remains that Tacitus may have indirectly referred to the Christians belief in Jesus resurrection, since his teachings again broke out after his death. Also interesting is the mode of torture employed against the early Christians. Besides burning, a number were crucified by being nailed to crosses. Not only is this the method used with Jesus, but tradition reports that Nero was responsible for crucifying Peter as well, but upside down. The compassion aroused in the Roman people is also noteworthy. The second reference to Jesus in the writings of Tacitus is found in the Histories. While the specific reference is lost, as is most of this book, the reference is preserved by Sulpicus Severus. (7) He informs us that Tacitus wrote of the burning of the Jerusalem temple by the Romans in 70 A.D., an event which destroyed the city. The Christians are mentioned as a group that were connected with these events. All we can gather from this reference is that Tacitus was also aware of the existence of Christians other than in the context of their presence in Rome. Granted, the facts that Tacitus (and most other extra biblical sources) report about Jesus are well known in our present culture. Yet we find significance in the surprising confirmation for the life of Jesus. The translator notes that Chrestus is a variant spelling of Christ, as noted by other commentators as well,(11) and is virtually the same as Tacitus Latin spelling. Suetonius refers to a wave of riots which broke out in a large Jewish community in Rome during the year of 49 A.D. As a result, the Jews were banished from the city. Incidentally, this statement has an interesting corroboration in Acts 18:2, which relates that Paul met a Jewish couple from Pontus named Aquila and his wife Priscilla, who had recently left Italy because Claudius had demanded that all Jews leave Rome. Few facts are derived from the two references by Suetonius. The first relates (1) to the expulsion of Jews from Rome, but also makes the claim (2) that it was Christ who caused the Jews to make the uproar in Rome, apparently by his teachings. The second reference is quite similar to the longer statement by Tacitus, (3) including the use of the word mischievous to describe the groups beliefs and (4) the term Christians to identify this group as followers of the teachings of Christ. The Antiquities, one of Josephus major works, provides some valuable but disputed evidence concerning Jesus. Written around 90 95 A.D., it is earlier than the testimonies of the Roman historians. Josephus speaks about many persons and events of first century Palestine and makes two references to Jesus. The first is very brief and is in the context of a reference to James, the brother of Jesus, who was called Christ.(14) Here we find a close connection between Jesus and James and the belief on the part of some that Jesus was the Messiah. Since Josephus was a Jew, it is unlikely that he would have written about Jesus in this way. Origen informs us that Josephus did not believe Jesus to be the Messiah,(16) yet Eusebius quotes the debated passage including the words above. (17) Therefore, probably the majority of commentators believe that at least a portion of the citation (the distinctly "Christian" words, in particular) is a Christian interpolation. Yet, other scholars have also supported the original ending. (18) A mediating position taken by many holds that the passage itself is written by Josephus with the questionable words either deleted or modified. So the major question here concerns the actual words of Josephus. There are good indications that the majority of the text is genuine. There is no textual evidence against it, and, conversely, there is very good manuscript evidence for this statement about Jesus, thus making it difficult to ignore. Additionally, leading scholars on the works of Josephus have testified that this portion is written in the style of this Jewish historian. (19) Thus we conclude that there are good reasons for accepting this version of Josephus statement about Jesus, with modification of the questionable words. In fact, it is possible that these modifications can even be accurately ascertained. We conclude that Josephus did write about Jesus, not only in the brief statement concerning James, but also in this longer account. The evidence points to his composition of this latter passage with the deletion and modification of a number of key phrases which were probably interpolated by Christian sources. There is nothing really sensational in such a list of facts from a Jewish historian. Jesus ethical conduct, his following, and his crucifixion by the command of Pilate are what we would expect a historian to mention. Even the account of the disciples reporting Jesus resurrection appearances (if it is allowed), has an especially authentic ring to it. Josephus, like many historians today, would simply be repeating the claims, which were probably fairly well known in first century Palestine. That the disciples would then spread his teachings would be a natural consequence. Josephus presented an important account of several major facts about Jesus and the origins of Christianity. In spite of some question as to the exact wording, we can view his statements as providing probable attestation, in particular, of some items in Jesus' public ministry, his death by crucifixion, the disciples report of his resurrection appearances, and their subsequent teaching of Jesus message. If this brief statement by Thallus refers to Jesus' crucifixion we can ascertain that (1) the Christian gospel, or at least an account of the crucifixion, was known in the Mediterranean region by the middle of the first century A.D. This brings to mind the presence of Christian teachings in Rome mentioned by Tacitus and by Suetonius. (2) There was a widespread darkness in the land, implied to have taken place during Jesus' crucifixion. (3) Unbelievers offered rationalistic explanations for certain Christian teachings or for supernatural claims not long after their initial proclamation, a point to which we will return below. Ten books of Plinys correspondence are extant today. The tenth book, written around 112 A.D., speaks about Christianity in the province of Bithynia and also provides some facts about Jesus. (32) Pliny found that the Christian influence was so strong that the pagan temples had been nearly deserted, pagan festivals severely decreased and the sacrificial animals had few buyers. Because of the inflexibility of the Christians and the emperors prohibition against political association, governor Pliny took action against the Christians. Yet, because he was unsure how to deal with believers, if there should be any distinctions in treatment or if repentance made any difference, he wrote to Emperor Trajan to explain his approach. At this point Pliny adds that Christianity attracted persons of all societal ranks, all ages, both sexes and from both the city and the country. Concerning early Christianity, (6) we see Plinys method of dealing with believers, from their identification, to their interrogation, to their execution. For those who denied being Christians, worship of the gods and the emperor gained them their freedom. (7) Interestingly, Pliny reports that true believers could not be forced to worship the gods or the emperor. (8) Christian worship involved a pre dawn service, (9) which included singing hymns. The early time probably facilitated a normal working day. (10) These Christians apparently formed a typical cross section of society in Bithynia, since they were of all classes, ages, localities and of both sexes. (11) There were recognized positions in the church, as illustrated by the mention of the two female deaconesses who were tortured for information. While Pliny does not relate many facts about Jesus, he does provide a look at a very early example of Christian worship. Believers were meeting regularly and worshiping Jesus. Trajan responds that Pliny was generally correct in his actions. If confessed Christians persist in their faith, they must be punished. However, three restrictions are placed on Pliny. (1) Christians should not be sought out or tracked down. (2) Repentance coupled with worship of the gods sufficed to clear a person. Pliny expressed doubts as to whether a person should be punished in spite of repentance and only recounts the pardoning of persons who had willingly given up their beliefs prior to questioning. (3) Pliny was not to honor any lists of Christians which were given to him if the accuser did not name himself. These conditions imposed by emperor Trajan give us some insight into early official Roman views about Christianity. While persecution was certainly an issue and many Christians died without committing any actual crimes, it is interesting that, contrary to popular opinion, the first century was not the worst period of persecution for believers. Trajans restrictions on Pliny at least indicate that it was not a wholesale slaughter. Nonetheless, the persecution was real and many died for their faith. From Hadrians letter we again ascertain (1) that Christians were frequently reported as lawbreakers in Asia and were punished in various ways. (2) Like Trajan, Hadrian also encouraged a certain amount of temperance, and ordered that Christians not be harassed. (3) If Christians were indeed guilty, as indicated by careful examination, punishments could well be in order. (4) However, no undocumented charges were to be brought against believers and those engaged in such were to be punished themselves. Here we have another brief account of the death of Jesus. These two references to Jesus being hanged certainly provide an interesting term to describe his death. But it should be noted that the New Testament speaks of crucifixion in the same way. Jesus is said to have been hanged (Greek kremámenos in Gal. 3:13), as were the two males killed at the same time (Greek kremasthenton in Luke 23:39). While the term crucified is a much more common reference to this event,(40) hanged is a variant expression of the same fate. From this passage in the Talmud we learn about (1) the fact of Jesus death by crucifixion and (2) the time of this event, which is mentioned twice as occurring on the eve of the Jewish Passover. We are surprisingly told (3) that for forty days beforehand it was publicly announced that Jesus would be stoned. While not specifically recorded in the New Testament, such is certainly consistent with both Jewish practice and with the report that this had also been threatened on at least two other occasions (John 8:58 59; 10:31 33, 39). It is related (4) that Jesus was judged by the Jews to be guilty of sorcery and spiritual apostasy in leading Israel astray by his teaching. (5) It is also stated that since no witnesses came forward to defend him, he was killed. It is interesting that there is no explanation as to why Jesus was crucified (hanged) when stoning was the prescribed punishment. It is likely that the Roman involvement provided the change of plans, without specifically being mentioned here. Another early reference in the Talmud speaks of five of Jesus disciples and recounts their standing before judges who make individual decisions about each one, deciding that they should be executed. However, no actual deaths are recorded. (41) From this second portion we can ascertain only (6) the fact that Jesus had some disciples and (7) that some among the Jews felt that these men were also guilty of actions which warranted execution. There are various other references to Jesus in the Talmud, although most are from later periods of formulation and are of questionable historical value. For instance, one reference indicates that Jesus was treated differently from others who led the people astray, for he was connected with royalty. (42) The first portion of this statement is very possibly an indication of the fact that Jesus was crucified instead of being stoned. The second part could be referring to Jesus being born of the lineage of David, or it could actually be a criticism of the Christian belief that Jesus was the Messiah. Another possible reference to Jesus states that he was either thirty three or thirty four years old when he died. (43) Many other allusions and possible connections could be mentioned, such as derision of the Christian doctrine of the virgin birth(44) and references to Mary, Jesus mother,(45) but these depend on questions of identification of pseudonyms and other such issues. Because of the questionable nature and dates of these latter Talmudic references, we will utilize only the two earlier passages from the Tannaitic period in our study. While the latter references are interesting and may reflect older traditions, we cannot be sure. It is true that the Toledoth Jesu was not compiled until the fifth century A.D., although it does reflect early Jewish tradition. Even though Jewish scholars scorn the reliability of this source,(47) the teaching that the disciples were the ones who removed the dead body of Jesus persisted in the early centuries after Jesus death. As reported in Matt. 28:11 15, this saying was still popular when the gospel was written, probably between 70 85 A.D. Additionally, Justin Martyr, writing about 150 A.D., states that the Jewish leaders had even sent specially trained men around the Mediterranean, even to Rome, to further this teaching,(48) which is confirmed by Tertullian about 200 A.D.(49) In other words, even if the Toledoth Jesu itself is too late or untrustworthy a source, in spite of its early material, the idea that the tomb was empty because the body was moved or stolen was common in early church history, as witnessed by other sources. From the material supplied by Lucian we may derive the following data concerning Jesus and early Christians. (1) We are told that Jesus was worshiped by Christians. (2) It is also related that Jesus introduced new teachings in Palestine (the location is given in another unquoted portion of Section II) and (3) that he was crucified because of these teachings. Jesus taught his followers certain doctrines, such as (4) all believers are brothers, (5) from the moment that conversion takes place and (6) after the false gods are denied (such as those of Greece). Additionally, these teachings included (7) worshiping Jesus and (8) living according to his laws. (9) Lucian refers to Jesus as a sage, which, especially in a Greek context, would be to compare him to the Greek philosophers and wise men. Concerning Christians, we are told (10) that they are followers of Jesus who (11) believe themselves to be immortal. Lucian explains that this latter belief accounts for their contempt of death. (12) Christians accepted Jesus teachings by faith and (13) practiced their faith by their disregard for material possessions, as revealed by the holding of common property among believers. The portion of Lucian not quoted presents some additional facts. (14) The Christians had sacred writings which were frequently read. (15) When something affected their community, they spare no trouble, no expense. (16) However, Lucian notes that Christians were easily taken advantage of by unscrupulous individuals. (51) From Lucian, then, we learn a number of important facts about Jesus and early Christian beliefs. Many of these are not reported by other extra New Testament beliefs. From this passage we learn (1) that Jesus was considered to be a wise and virtuous man. (2) He is addressed twice as the Jews King, possibly a reference to Jesus own teachings about himself, to that of his followers or even to the wording on the titulus placed over Jesus head on the cross. (3) Jesus was executed unjustly by the Jews, who paid for their misdeeds by suffering judgment soon afterward, probably at least as reference to the fall of Jerusalem to the Roman armies. (4) Jesus lived on in the teachings of the early Christians, which is an indication that Mara Bar Serapion was almost certainly not a Christian. Rather, he follows Lucian and others in the popular comparison of Jesus to philosophers and other wise men in the ancient world. As Bruce notes, some of Mara Bar Serapions material concerning Athens and Samos is quite inaccurate. (54) Yet the statements about Jesus do not appear to be flawed and thus add to our extra New Testament data about him. This category of extra New Testament sources is different from all the others in that these works often at least make the claim to be Christian. Although scholars still debate the question of the origin of gnosticism, it is generally said to have flourished mainly from the second to the fourth centuries A.D. It is from four, second century documents that we get the material for this section. While it is possible that there are other gnostic sources as old or older than the four used here, these have the advantage both of being better established and of claiming to relate facts concerning the historical Jesus, many of which are not reported in the Gospels. However, it must be admitted that this group of writers was still more influenced by the New Testament writings than the others in this chapter. Yet, although many of the ideas in these four books are Christian, gnosticism in many of its forms and teachings was pronounced heretical and viewed as such by the church. Hence we are discussing such material in this chapter. Here and later (18:23) the author states (4) that Jesus was persecuted and suffered and (5) that he was nailed to a tree, obviously referring to his crucifixion. (6) We are also told of the belief that it was Jesus death that brought salvation for many, which is referred to as the imparting of Light to those who would receive it (30:37; 31:12 20). It is also asserted (7) that Jesus was raised in an eternal body which no one can harm or take from him. The theological overtones in The Gospel of Truth (as well as in other gnostic writings) present an obvious contrast to the ancient secular works inspected above. Yet, even allowing for such theological motivation, these early gnostic sources still present us with some important insights into the historical life and teachings of Jesus. This passage relates (1) that John the disciple, in response to a question from Arimanius the Pharisee, stated that Jesus had returned to heaven, a possible reference to the Ascension. (2) The Pharisee responded by telling John that Jesus had deceived his followers with his teachings, which is reminiscent of the Talmuds statements about Jesus. Whether such an encounter between John and Arimanius actually occurred or not, such is apparently a typical view of Jesus teachings from the standpoint of the Jewish leaders. The text is usually dated from around 140 200 A.D., although it reflects thought of even earlier periods. (64) As such it could present some accurate facts concerning Jesus. In an incident similar to Jesus question at Caesarea Philippi,(65) reported in the synoptic Gospels, The Gospel of Thomas also presents Jesus asking his disciples, Compare me to someone and tell Me whom I am like. They respond by describing him as an angel, a philosopher and as an indescribable personage. (66) In a later passage the disciples refer to Jesus as the consummation of the prophets (42:13 18). In these passages which concern the identity of Jesus, we are told (1) that Jesus asked his disciples for their view. (2) Their responses were varied, with the comparison of Jesus to a philosopher being especially reminiscent of the references by Lucian and Mara Bar Serapion. Jesus then identified himself as (3) the Son of Man, (4) the Son of His Father and (5) as the All of the Universe. The Gospel of Thomas also records a parable concerning the death of Jesus (45:1 16) and relates his subsequent exaltation (45:17 19). Again, Jesus is identified as living or as the Living One, a reference to his post resurrection life (see Rev. 1:17 18). (70) These references relate (6) the death of Jesus and (7) his exaltation as a result of his resurrection from the dead. In this passage we find much gnostic terminology in addition to the teachings (1) that Jesus became flesh as the Son of Man in spite of (2) his true divinity as the Son of God who conquers death. In less esoteric language we are told (3) that Jesus died, (4) rose again and (5) thereby destroyed death for those who believe in him. Since Jesus has been raised the author counseled Rheginos that already you have the resurrection . . . why not consider yourself as risen and (already) brought to this? Thus he is encouraged not to continue as if you are to die.(78) The resurrection of Jesus thereby provides practical considerations in causing the believer to realize that he already has eternal life presently and should not live in fear of death. This teaching is similar to that of the New Testament (Col. 3:1 4; Heb. 2:14 15) and gives added significance to Lucians report of Christians who believed that they are immortal and thus unafraid of death. Once again, these previous four sources are theologically oriented, freely incorporating many gnostic tendencies, in addition to being generally later than most of our other sources. While these two qualifications do not necessitate unreliable reporting of historical facts about Jesus, we are to be cautious in our use of this data. Justin Martyr relates several facts, believing them to be contained in Pilates report. The chief concern is apparently Jesus crucifixion, with details such as (1) his hands and feet being nailed to the cross and (2) the soldiers gambling for his garments. But it is also asserted (3) that several of Jesus miracles were also included in Pilates report. There may well have been an original report sent from Pilate to Tiberius, containing some details of Jesus crucifixion. In spite of this, it is questionable if Justin Martyr and Tertullian knew what any possible report contained. Although the early Christian writers had reason to believe such a document existed, evidence such as that found in the reference to Thallus is missing here. In particular, there are no known fragments of the Acts of Pilate or any evidence that it was specifically quoted by another writer. Additionally, it is entirely possible that what Justin thought original was actually a concurrent apocryphal gospel. (84) At any rate, we cannot be positive as to this purported imperial document. Like the gnostic sources, we therefore are cautious in our use of this source. Phlegon. The last reference to be discussed in this chapter is that of Phlegon, whom Anderson describes as a freedmen of the Emperor Hadrian who was born about A.D. 80.(85) Phlegon's work is no longer in existence and we depend on others for our information. So Phlegon mentioned that Jesus made predictions about future events that had been fulfilled. When the combined evidence from ancient sources is summarized, quite an impressive amount of information is gathered concerning Jesus and ancient Christianity. It is our purpose in this section to make a brief composite picture of the historical data. We have investigated a total of seventeen sources that present valuable material with regard to the historical Jesus and early Christianity. As noted above, not all of these records are equally good documents, but even minus the questionable sources, this early evidence is still very impressive. (90) Few ancient historical figures can boast the same amount of material. The Life and Person of Jesus. According to the sources which we have investigated above, the ministry of Jesus, the brother of James (Josephus), was geographically centered in Palestine (Tacitus, Lucian, Acts of Pilate). Jesus was known as a wise, virtuous and ethical man (Josephus, Mara Ben Serapion), who was reported to have both performed miracles (Acts of Pilate) and made prophecies which were later fulfilled (Phlegon, cf. Josephus). A result of his ministry was that he had many disciples, from both the Jews and the Gentiles (Josephus, Talmud). Of the sources which we studied, the gnostic works, in particular, comment on the person of Jesus. They relate that on one occasion he asked his disciples who they thought he was (Gospel of Thomas). Although there were varied answers to this question, these works agree that Jesus was both God and man. While he was a flesh and blood person (Gospel of Truth, Treatise on Resurrection), as indicated by the title Son of Man (Gospel of Thomas), he is also said to be the Son of God (Treatise on Resurrection, Gospel of Truth, Gospel of Thomas), the Word (Gospel of Truth) and the All (Gospel of Thomas). As pointed out earlier these gnostic works are somewhat questionable sources for the historical Jesus because of their late and theological character. However, some secular sources for the historical Jesus report similar beliefs. They assert that Jesus was worshiped as deity (Pliny, Lucian), and that some believed he was the Messiah (Josephus) and even call him King (Mara Bar Serapion). At least these beliefs on the part of certain persons are a matter of historical record. The Teachings of Jesus. An interesting tendency among some ancient authors was to view Jesus as a philosopher with some distinctive teachings (Lucian, Mara Bar Serapion, cf. Gospel of Thomas). Lucian lists some of Jesus teachings as the need for conversion, the importance of faith and obedience, the brotherhood of all believers, the requirements of abandoning the gods of other systems of belief and the worship of himself, which was either taught or at least the result of his teaching. It might also be inferred that the Christian belief in immortality and lack of fear of death reported by Lucian is also due to Jesus teaching. Plinys report that believers took oaths not to commit unrighteousness is probably due to Jesus warnings against sin. The Gospel of Truth adds that Jesus taught his listeners about his Father and that Jesus realized that his death was the means of life for many. The Death of Jesus. The Jewish leaders judged that Jesus was guilty of teaching spiritual apostasy, thereby leading Israel astray (Talmud, cf. Apocryphon of John). So the Jews sent a herald proclaiming that Jesus would be stoned for his false teaching and invited anyone who wished to defend him to do so. But none came forth to support him (Talmud). Even some details of the crucifixion are provided. The event occurred on Passover Eve (Talmud) and included being nailed to a cross (Phlegon, Gospel of Truth, Acts of Pilate, cf. Tacitus), after which the executioners gambled for his garments (Acts of Pilate). There were signs in nature, too, as darkness covered the land for three hours due to an eclipse of the sun (Thallus, Phlegon), and great earthquakes occurred (Phlegon). One writer (Mara Bar Serapion) asserted that Jesus was executed unjustly and that the Jews were judged accordingly by God. The Resurrection of Jesus. After Jesus death it is recorded that his teachings broke out again in Judea (Tacitus, cf. Suetonius, Pliny). What was the cause for this new activity and spread of Jesus teachings after his death? Could Jesus have been raised from the dead? Various answers are mentioned. Mara Bar Serapion, for example, points out that Jesus teachings lived on in his disciples. According to the Toledoth Jesu, the disciples were going to steal the body, so Juda the gardener reburied it and later sold the body of Jesus to the Jewish leaders, who dragged it down the streets of Jerusalem. Justin Martyr and Tertullian object, asserting that the Jews sent trained men around the Mediterranean region in order to say that the disciples stole the body. The earliest of the sources, Matt. 28:11 15, claims that after Jesus was raised from the dead, the Jewish leaders bribed the guards in order to have them say that the disciples stole the body, even though they did not. But we are also told that Jesus was raised from the dead and appeared to his followers afterwards. Josephus seems to record the disciples belief in the resurrection of Jesus, noting that these witnesses claimed to have seen Jesus alive three days after his crucifixion. Phlegon said that Jesus appeared and showed the marks of the nail prints in his hands, and perhaps other wounds, as well. The resurrection of Jesus is defended especially by The Treatise on Resurrection, but also proclaimed by The Gospel of Truth and The Gospel of Thomas. Afterward, Jesus was exalted (Apocryphon of John, Gospel of Thomas). Christian Teachings and Worship. Christians were named after their founder, Christ (Tacitus), whose teachings they followed (Lucian). Believers were of all classes, ages, localities and of both sexes, forming a cross section of society (Pliny). For Christians, Jesus death procured salvation (Gospel of Truth) for those who exercised faith in his teachings (Lucian). As a result, Christians believed in their own immortality and scorned death (Lucian), realizing that eternal life was a present possession (Treatise on Resurrection). Additionally, Lucian relates several other Christian teachings. Believers had sacred writings which were frequently read. They practiced their faith by denying material goods and by holding common property. They went to any extent to help with matters pertaining to their community. However, Lucian does complain that Christians were gullible enough to be taken advantage of by unscrupulous persons. Pliny relates that believers met in a pre dawn service on a certain day (probably Sunday). There they sang verses of a hymn , worshiped Christ as deity and made oaths against committing sin. Then they would disband, only to reassemble in order to share food together, which is very probably a reference to the love feast and Lords supper. Pliny also makes reference to the existence of positions in the early church when he mentions two female deaconesses. The Spread of Christianity and Persecution. After the death of Jesus and the reported resurrection appearances, the disciples did not abandon the teachings which they had learned from him (Josephus). By the middle of the first century, Christian doctrine, and the crucifixion of Jesus in particular, had spread around the Mediterranean. In fact, skeptics were already offering rationalistic explanations for supernatural claims only some twenty years after Jesus death (Thallus). More specifically, Christian teachings had reached Rome by 49 A.D., less than twenty years after the death of Jesus, when Claudius expelled Jews from the city because of what was thought to be the influence of Jesus teachings (Suetonius). By the time of Neros reign (54 68 A.D.), Christians were still living in Rome (Tacitus, Suetonius). We are also told that Christians were present during the fall of Jerusalem in 70 A.D. (Tacitus). The spread of Christianity unfortunately involved persecution fairly early in its history. Sometimes it was tempered by a certain amount of fairness, but it was real and serious for many early believers, nonetheless. The Talmud relates an occasion when five of Jesus disciples were judged to be worthy of death. Tacitus provides much greater detail. After the great fire at Rome, Nero blamed the occurrence on Christians, who are described as a group of people who were hated by the Roman populace. As a result, many believers were arrested, convicted, mocked and finally tortured to death. Being nailed to crosses and being burnt to death are two methods which are specifically mentioned. Such treatment evoked compassion from the people, and Tacitus blamed these events on the eccentricities of Nero. Christians were sometimes reported as lawbreakers (Pliny, cf. Trajan, Hadrian) for almost three centuries after the death of Jesus, after which Christianity became the official religion of the Roman Empire. Believers were blamed with meeting secretly, burning their children and drinking blood. For instance, Plinys letter relates his methodology with Bithynian Christians. They were identified, interrogated, sometimes tortured and then executed. If they denied that they were believers, as demonstrated by their worshiping Caesar and the gods, they were freed. Pliny noted that true believers would never be guilty of such a denial of Christ. Trajans response encouraged moderation. Repentance and worship of the gods were sufficient for freeing these people. But they should not be sought out. Hadrian offered similar advice prohibiting the harassment of Christians and even ordered that their enemies be dealt with if they acted improperly against believers. However, if Christians were guilty, they would have to be punished. This chapter has shown that ancient extra biblical sources do present a surprisingly large amount of detail concerning both the life of Jesus and the nature of early Christianity. While many of these facts are quite well known, we must remember that they have been documented here apart from the usage of the New Testament. When viewed in that light, we should realize that it is quite extraordinary that we could provide a broad outline of most of the major facts of Jesus life from secular history alone. Such is surely significant. Using only the information gleaned from these ancient extra biblical sources, what can we conclude concerning the death and resurrection of Jesus? Can these events be historically established on these sources alone? Of the seventeen documents examined in this chapter, eleven different works speak of the death of Jesus in varying amounts of detail, with five of these specifying crucifixion as the mode. When these sources are examined by normal historical procedures used with other ancient documents, the result is conclusive. (91) It is this authors view that the death of Jesus by crucifixion can be asserted as a historical fact from this data. This conclusion is strengthened by the variety of details which are related by good sources. As mentioned often, a few of the documents may be contested, but the entire bulk of evidence points quite probably to the historicity of Jesus death due to the rigors of crucifixion. The ancient references to the resurrection are fewer and somewhat more questionable. Of the seventeen sources, seven either imply or report this occurrence, with four of these works being questioned in our study. Before answering the issue concerning Jesus resurrection, we will initially address the cognate point of whether the empty tomb can be established as historical by this extra biblical evidence alone. There are some strong considerations in its favor. First, the Jewish sources which we have examined admit the empty tomb, thereby providing evidence from hostile documents. Josephus notes the disciples belief in Jesus resurrection, while the Toledoth Jesu specifically acknowledges the empty tomb. Justin Martyr and Tertullian confirm Matt. 28:11 15 by asserting that Jewish leaders were still admitting the empty tomb over a century later. While these Jewish sources (with the exception of Josephus) teach that the body was stolen or moved, they still admit the empty tomb. Second, there are apparently no ancient sources which assert that the tomb still contained Jesus body. While such an argument from silence does not prove anything, it is made stronger by the first consideration from the hostile sources and further complements it. Third, our study has shown that Jesus taught in Palestine and was crucified and buried in Jerusalem under Pontius Pilate. These sources assert that Christianity had its beginnings in the same location. But could Christianity have survived in this location, based o its central claim that Jesus was raised from the dead, if the tomb had not been empty? But what about the teaching that the disciples or someone else stole the dead body of Jesus? Does this account for the empty tomb and end the question of Jesus resurrection? Equally faulty is the hypothesis that the body of Jesus was taken or moved by someone other than the disciples. The major problem, among others, is that it does not account for the strongest, critically ascertained fact in favor of the resurrection  the disciples belief that the risen Jesus had literally appeared to them. Since one must search elsewhere to account for this major fact, this view cannot disprove the resurrection. Not only is this the case with the disciples alone, but even more with Paul and James, who pose additional refutations. Additionally, such views fail to provide a plausible person(s) to perform such an act, viable motives, a place for Jesus final burial, or for the fact that the act was never admitted, discovered or otherwise reported. But again, the appearances of Jesus are not even dealt with by these theses, and this constitutes the primary refutation. However, we still cannot conclude that ancient extra biblical sources, by themselves, historically demonstrate the resurrection, as is true with Jesus death by crucifixion. The evidence indicates that alternative theories involving a stolen or moved body are invalid, and that the tomb was empty, but the cause of this event cannot be proven at this point alone. Still, the testimony of Josephus and Phlegon, in particular, are very helpful, and supplement the excellent case in Chapter 7 from the New Testament creeds and known facts. We conclude that ancient extra biblical sources both provide a broad outline of the life of Jesus and indicate that he died due to the effects of crucifixion. Afterwards he was buried and his tomb was later found empty, but the body had not be stolen or moved. While we have this mystery and some factual evidence in favor of Jesus resurrection, additional data from other sources are needed in order to reach a final position. End notes for this chapter are not available at this time.